According to the FTC, Lord & Taylor paid fashion blog Nylon to produce a post about the company’s 2015 Design Lab clothing collection, without disclosing that the article was sponsored. Further, the FTC says that "Nylon also posted a photo of the retailer’s Design Lab Paisley Asymmetrical Dress on Nylon’s Instagram site, along with a caption that Lord & Taylor had reviewed and approved. The Instagram post and article gave no indication to consumers that they were paid advertising placed by Lord & Taylor." Lord & Taylor also "gave 50 select fashion influencers a free Paisley Asymmetrical Dress and paid them between $1,000 and $4,000 each to post a photo of themselves wearing it on Instagram or another social media site. While the influencers could style the dress any way they chose, Lord & Taylor contractually obligated them to use the “@lordandtaylor” Instagram user designation and the hashtag “#DesignLab” in the caption of the photo they posted. The company also pre-approved each proposed post." What got Lord & Taylor in trouble, though, was that they did not require the influencers to disclose that the posts were sponsored. And, given their pre-approval of each post, they should have recognized that the posts did not contain the required disclosures. In settling the charges, the FTC is prohibiting Lord & Taylor from "misrepresenting that paid ads are from an independent source, and is required to ensure that its influencers clearly disclose when they have been compensated in exchange for their endorsements." 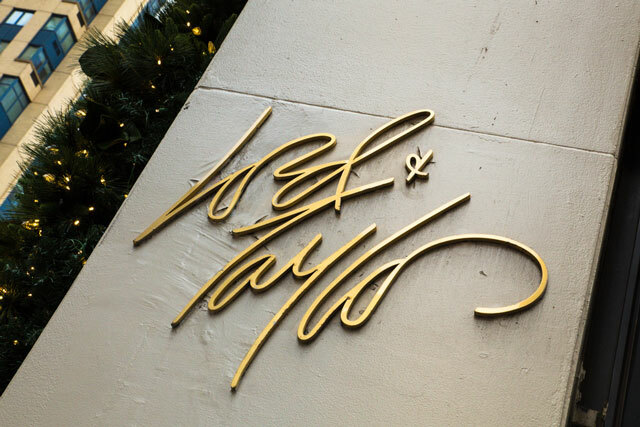 All things Lord & Taylor should have done in the first place. While things didn't work out well for Lord & Taylor legally, the campaign did demonstrate the promotional value influencers offer brands. Data provided by the FTC indicated "influencers’ posts reached 11.4 million individual Instagram users over just two days, led to 328,000 brand engagements with Lord & Taylor’s own Instagram handle" and "the dress quickly sold out." For brands and bloggers who want further guidance on proper disclosure policies, the FTC issued an Enforcement Policy Statement on Deceptively Formatted Advertisements in December, 2915. Anyone involved in spored influencer programs, whether blogger or brand, should give it a read.